A taxi passes in Times Square in the Manhattan neighborhood of NYC. Times Square is the entertainment district in New York, also known as Broadway. 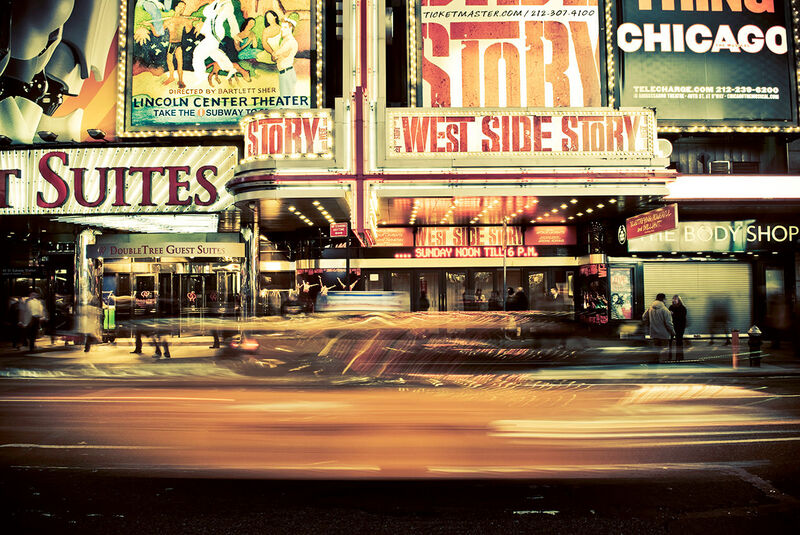 A taxi passes along Broadway Avenue in front of a theater advertising the musical show West Side Story. Times Square est le quartier des spectacles à New York, aussi appelé Broadway. 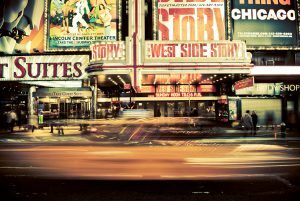 Un taxi passe le long de l’avenue de Broadway devant un théâtre présentant la comédie musicale West Side Story.